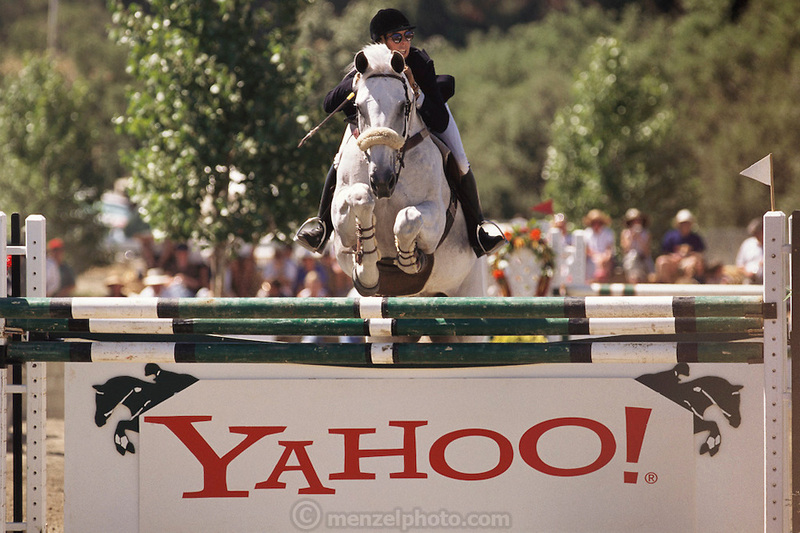 Silicon Valley, California; The Portola Valley Classic, a horse jumping competition sponsored in part by Hewlett Packard, Yahoo, Nasdaq, Mercedes, and Cartier is held at the Portola Valley Training Center, the largest equine boarding facility in Northern California. The grand prize for the competition in 1999 is $25,000. Other prizes consist of sponsor's products. Rider and horse clear over a Yahoo! jump. (1999).